Peel both onions and potatoes. 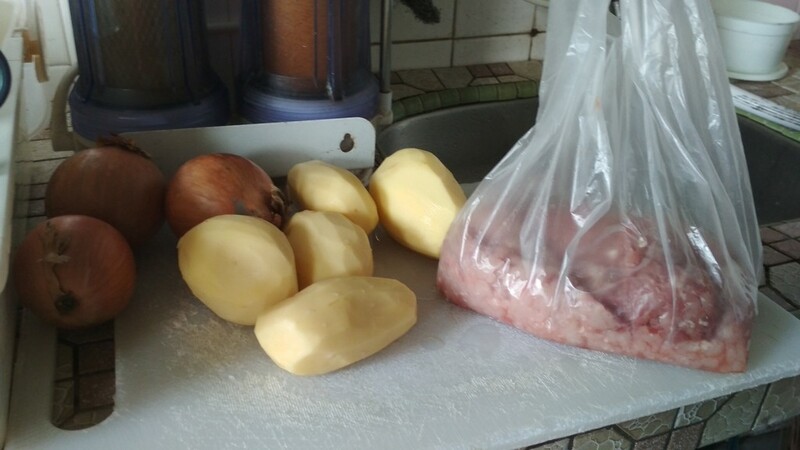 Cut potatoes into strips of fries. Deep fry the fries in low heat till they’re cooked. Put oil in wok and fry the onions first till they turn soft. 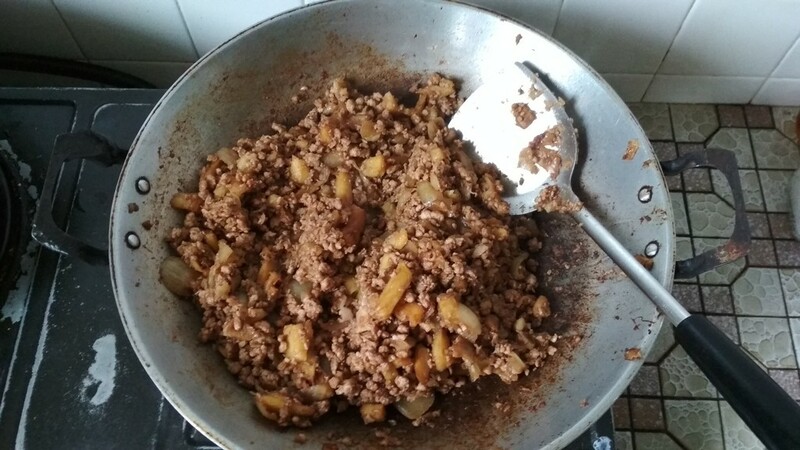 Put the mince meat along with the onions and stir fry it till it’s cooked. Once meat is cooked add in the fries while continue to stir fry. Then finally add in the 1 table spoon of sugar, 1 table spoon of salt, and 1 tea spoon Maggie seasoning. Finally add in the dark soy sauce for coloring and taste. Do final taste to make sure if the salt or season is enough. So once you’re done with that. Anyway, it’s a simple yet nice dish to try. 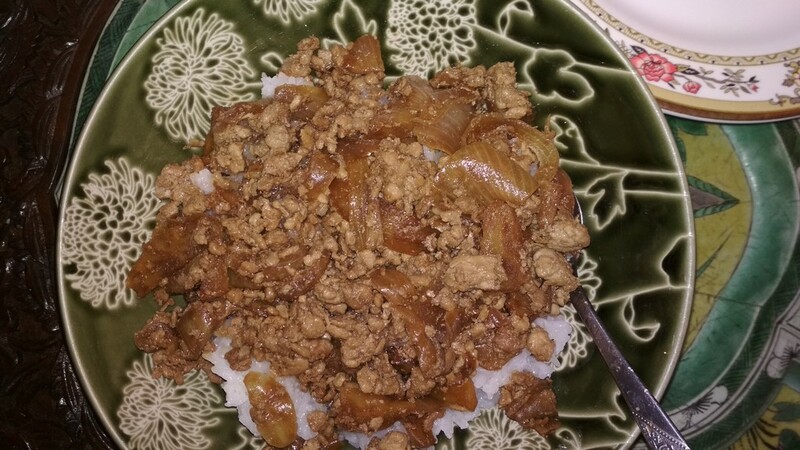 I had initial problem with the taste so I ended up adding about 2.5 table spoon of salt, and 2 tea spoon of Maggie seasoning. Never the less, it turned out all right. Plus the first time I went and fried the fries I accidentally overcooked it as the heat from the stove was too high. But fortunately for me I had my the backing of the Dark Templars and told me that the fire was too high. Give it a try and let me know how it goes.